Welcome to Grand Pointe! This condominium is located right along Orange Beaches, and is full of Emerald Coast by Owner. 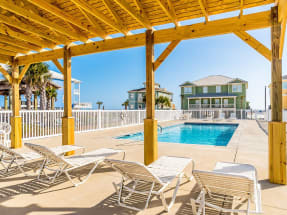 Our vacation rental properties are equipped with great luxury and elegance to the point where you may never want to step foot out of your condo! Yes, Eastern Gulf Shores can be known for the gorgeous beach full of white sand and blue water, but there’s plenty more to do around here than just lounge and enjoy the view, unless that’s all you prefer of course! Perdido Key Parasailing is one of our main attractions that’s a blast for everyone! Some other very fun things to do are go paddle boarding, deep sea fishing, fishing off shore, boat tours, you name it! You can make the most of your trip by enjoying everything you want when you book with Emerald Coast by Owner. When you’re done with the attractions, you’ll be pleased to know there’s a number of delicious local seafood spots along the ocean with great views and even better food. Emerald Coast by Owner is pleased to bring you the best Vacation Rental Properties by Owner in, Grand Pointe and more! Browse our listings and book online today! When you book with Emerald Coast by Owner, we make it easy for you to choose where, when, and what you want to do on your trip. Contact the property owners directly with any questions, they will gladly assist you in the booking process.